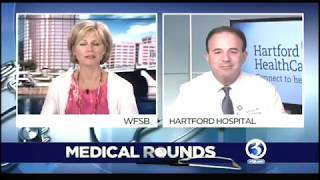 Hartford Hospital surgeons are discussing the less-invasive TAVR method, a game-changing procedure for open heart surgery. On average, men have a shorter lifespan than women. 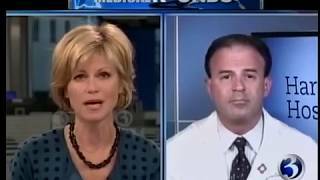 The reasons are myriad, but not going to the doctor doesn't help. 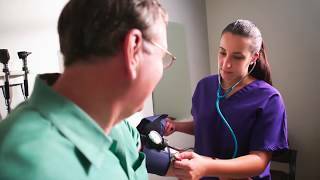 The Tallwood Men's Health Center in Farmington provides men with a comfortable place to see clinicians across many specialties and help prevent or manage chronic issues. 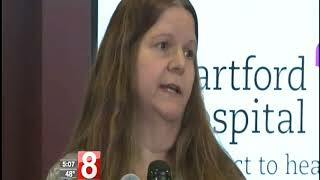 There is new device for those dealing with heart failure - and it is now available here at Hartford HealthCare. 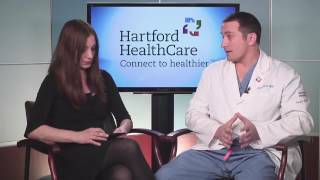 Dr. Howard Haronian from the Hartford HealthCare Heart & Vascular Institute has details. 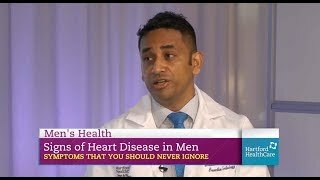 Heart disease presents differently in men than in women. 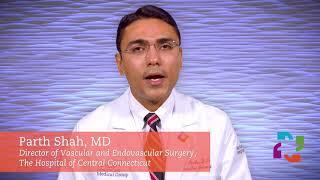 Here's what the guys should look for from Hartford HealthCare Heart & Vascular cardiologist Dr. Waseem Chaudhry. Heart failure is an extremely serious condition - but there are treatments. 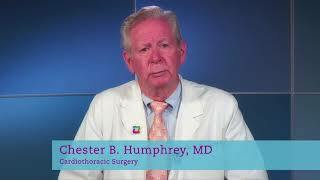 Plus, there's a not-well-known condition called heart failure with preserved ejection fraction. 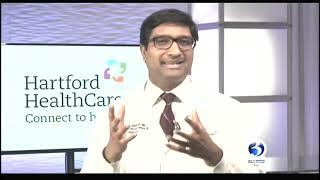 Dr. Abhishek Jaiswal is a cardiologist with the Center for Advanced Heart Failure with the Hartford HealthCare Heart & Vascular Institute. 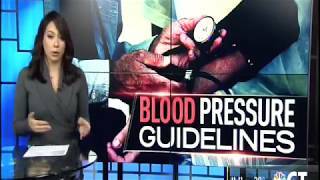 If you take blood pressure medications, you may want to know about this recall. 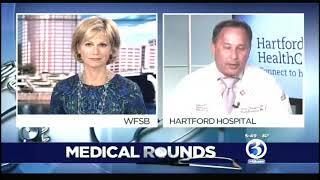 Hartford HealthCare's Dr. Paul Thompson explains. 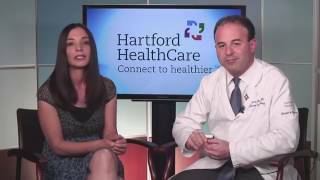 Hartford HealthCare's Dr. Mark Marieb answers your questions about heart rhythm disturbances, including their causes and symptoms. There have been advancements made in the evaluation and treatment of heart rhythm disturbances, otherwise known as cardiac arrhythmias. 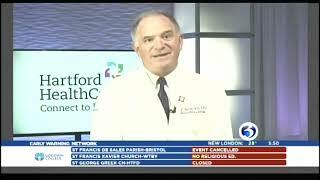 Hartford HealthCare's Dr. Mark Marieb has details. Pulmonary hypertension is a type of high blood pressure that affects the arteries in the lungs and the right side of the heart. 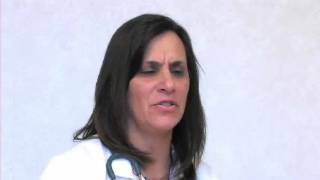 Learn more from Dr. Dina Darsaklis, Cardiology Director of Pulmonary Vascular Disease at Hartford Hospital. 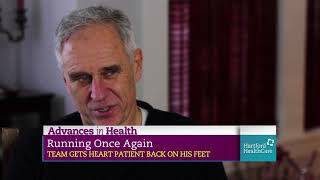 When heart patient William "Jeff" Morris needed a pacemaker, it took a team of dozens at two different Hartford HealthCare hospitals to help get him back on track. 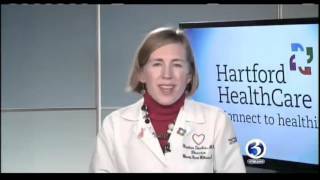 The world's only pacemaker that can communicate directly with a patient's smartphone or tablet is available at the Hartford HealthCare Heart & Vascular Institute at Hartford Hospital. 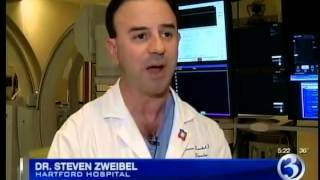 Cardiac electrophysiologist Dr. Steven Zweibel has the details. 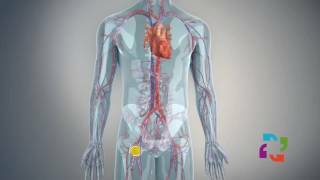 The world's only pacemaker that can communicate directly with a patient's smartphone or tablet is available at the Hartford HealthCare Heart & Vascular Institute at Hartford Hospital. 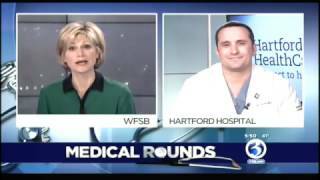 Hartford HealthCare cardiac electrophysiologist Dr. Steven Zweibel has the details. Right Place. Right Time. Right Team. 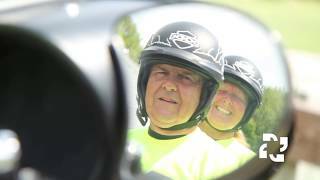 For Howard Gaynor of North Granby, being in the right place at the right time with the right team saved his life as he experienced a heart attack. 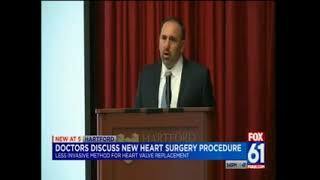 The Heart & Vascular Institute at Hartford Hospital has been selected as one of 35 hospitals nationwide participating in a study that allows low-risk patients with severe aortic stenosis to receive a replacement aortic valve in a minimally invasive procedure using catheters instead of conventional open-heart surgery. 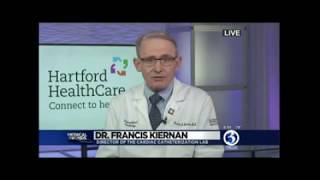 Learn more from Hartford HealthCare's Dr. Francis Kiernan. 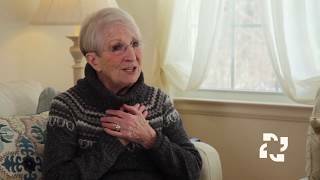 Cindy Sypher is alive today because of a generous organ donor and the skill and expertise of the Hartford HealthCare Heart & Vascular Institute at Hartford Hospital. 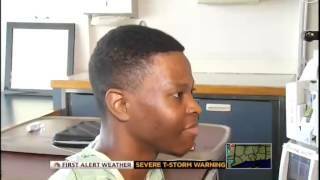 Carey Taylor is grateful to the team from the Hartford HealthCare Heart & Vascular Institute for bringing her back from the brink of death. 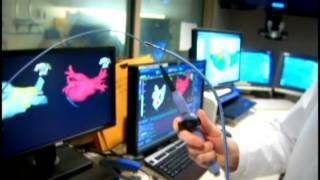 With the number of flu-related deaths on the rise in the U.S. and here in Connecticut, Hartford Hospital doctors are using a device that is saving the lives of patients who experience respiratory failure because of the virus. 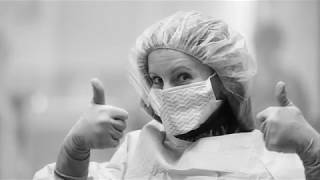 ECMO (Extracorporeal Membrane Oxygentation) is a bypass device that directly oxygenates the blood so failing hearts and lungs can rest and recover. It's a runner's life for Larry Allen, and he wouldn't have it any other way - not even when a major blockage of the heart nearly took it all away. 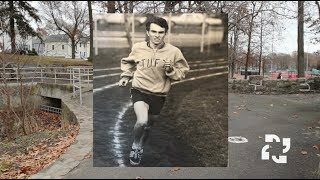 How a Hartford HealthCare cardiologist - and fellow runner - helped get him back on track. 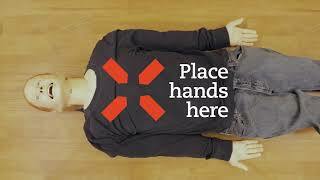 What is hands-only CPR? 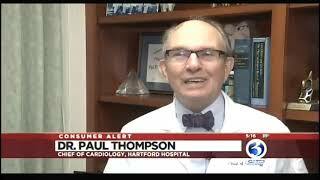 Dr. Paul Thompson, co-physician-in-chief at the Hartford HealthCare Heart & Vascular institute, has the details. 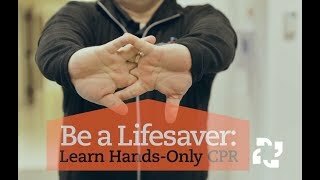 Doing hands-only CPR is easy. Here's how! 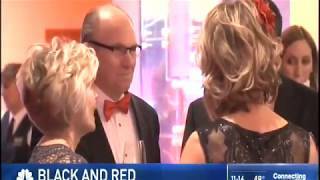 The Black & Red Gala took place last night, raising more than $1 million for the Hartford HealthCare Heart & Vascular Institute at Hartford Hospital. 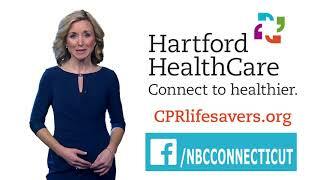 Relive our NBC Connecticut special, featuring miraculous patient stories - then get your lifesaving CPR song at CPRLifesavers.org. 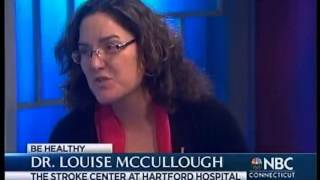 It was Mother's Day 2014, and Leigh Pechillo was being pampered by her husband and kids. 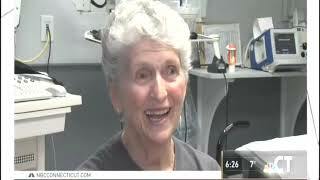 She woke up four days later at the Hartford HealthCare Heart & Vascular Institute. What happened in between is nothing less than miraculous! 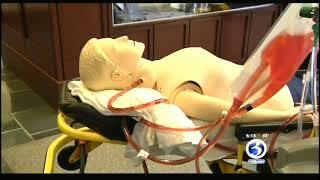 CPR without the breathing is preferred to nothing at all. 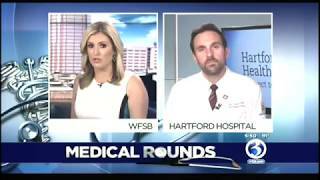 Hartford Hospital's Steve Donahue explains. Some people's hearts are prone to leaky valves. 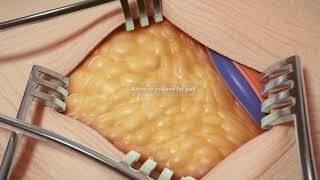 But with the right surgeon - someone with the right experience - repairing the valve might be better for some patients. 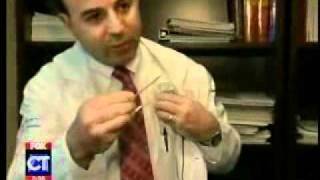 Hartford HealthCare's Dr. Sabet Hashim is just such a surgeon. 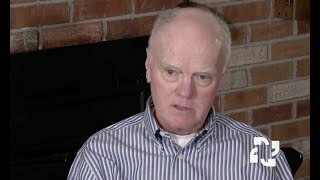 "Please don't let me die," were the last words Bob Furlong recalls saying to his caregivers at Hartford HealthCare before his treatment for cardiac arrest. 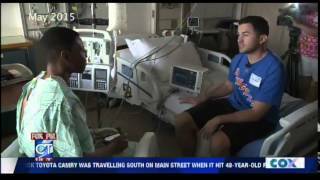 He's alive today to tell his story thanks to the lifesaving work of the clinicians and staff at the Hartford HealthCare Heart & Vascular Institute. 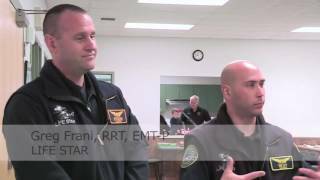 We welcome Charlotte Hungerford Hospital and learn more about "hands only CPR." 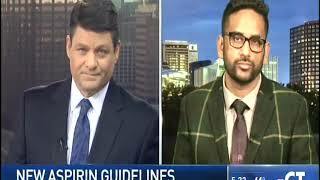 Learn more about the new definition of "hypertension." 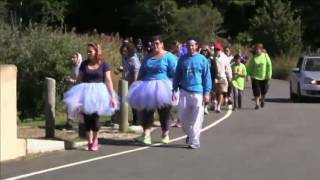 It was sneakers (not boots) on the ground as Backus Hospital and Windham Hospital combined forces for the 2017 American Heart Association's Eastern Connecticut Heart Walk at the Mohegan Reservation. 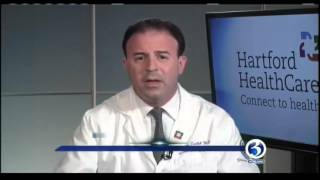 A team of physicians at Hartford Hospital recently became the first in Connecticut to successfully repair a life-threatening aortic aneurysm using a new device as part of a clinical trial approved by the Food & Drug Administration. 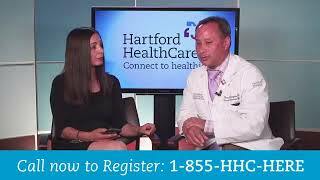 Dr. Thomas Divinagracia is the chief of vascular surgery at Hartford Hospital. 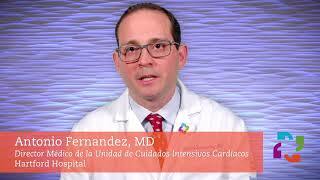 Dr. Divinagracia is a cardiac surgeon. 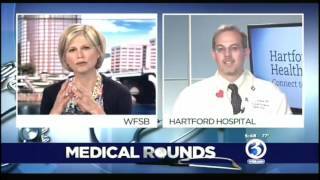 Cardiac electrophysiologist Dr. Steven Zweibel talks about the world's smallest pacemaker, now available at Hartford Hospital. 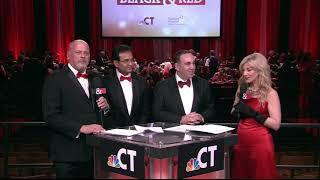 Tina Varona hosts. 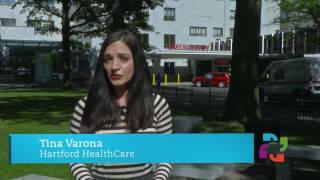 Hartford Hospital cardiology APRNs collected school supplies and packed back packs as back-to-school donations to the Hartford School System! 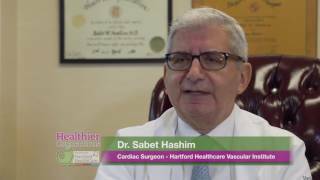 Hartford HealthCare Heart & Vascular Institute co-physician-in-chief Dr. Sabet Hashim is a world renowned leader in heart surgery. 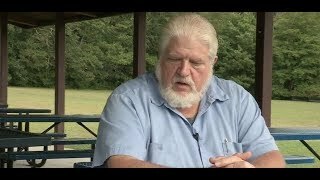 He has developed an innovative technique to repair leaky heart valves. 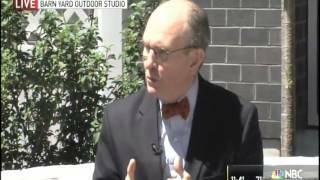 Is Coffee The Key To A Long Life? According to two new published studies, people who drink coffee appear to live longer. 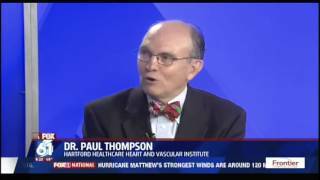 Hartford HealthCare's Dr. Paul Thompson breaks it down for us. Heart rhythm disorders like atrial fibrillation (a-fib) are becoming more common as baby boomers age. 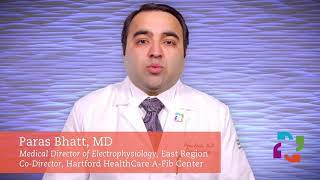 Dr. Eric Crespo heads up the cardiac electrophysiology lab at Hartford Hospital. 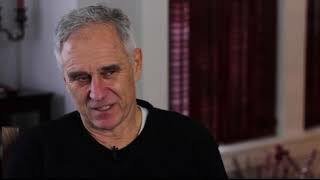 He has information on new treatments for such disorders. 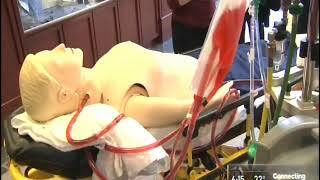 If someone with a heart pump goes into cardiac arrest, what do you do? 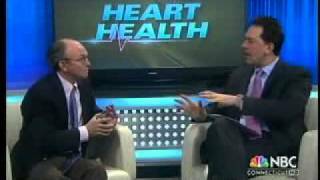 Heart failure/transplant specialist Dr. Jason Gluck explains. Leaky Heart Valve? Repair Is Possible! 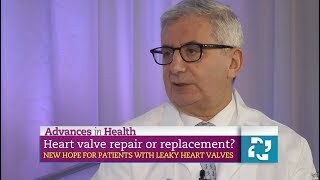 Learn all about the new, proven technique to repair (rather than replace) a leaky heart valve, as developed by Hartford HealthCare heart surgeon and co-physician-in-chief of the HHC Heart & Vascular Institute, Dr. Sabet Hashim. 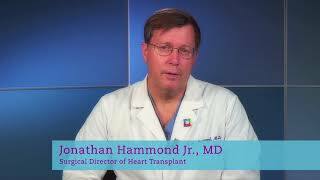 When Jonathan Henry needed a new heart, he did his research to find a hospital where clinicians had extensive transplant experience, and could both support and respect his religious tenets to perform a bloodless transplant. 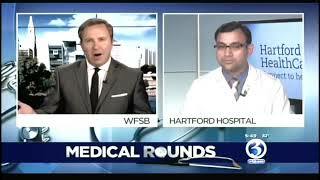 His research led him to Hartford Hospital. 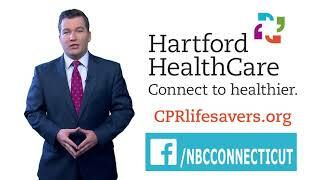 When cutting the grass becomes a medical emergency of the heart, the Hartford HealthCare Heart & Vascular Institute is ready to help, no matter what it takes. Just ask Bob Furlong. What is a heart attack? 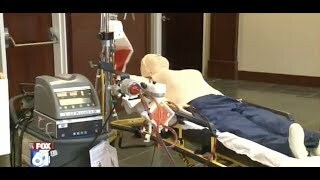 How does it differ from sudden cardiac arrest (it does!). 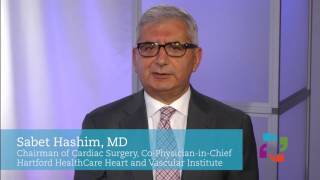 Interventional cardiologist Dr. Tal Azemi answers these and other questions. 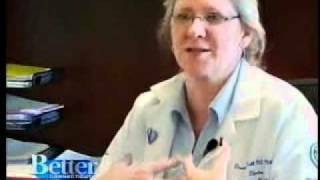 Heart Screenings for Women - at 20! 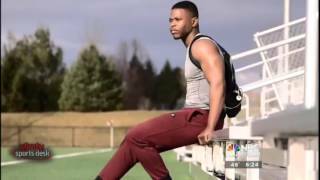 Prevention is key to battling heart disease. 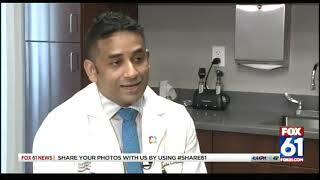 New information indicates that women should be screened as early as age 20 for heart issues. 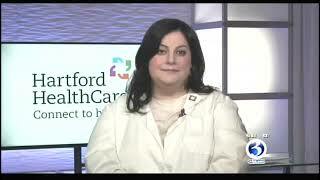 Cardiologist Heather Swales has the scoop! 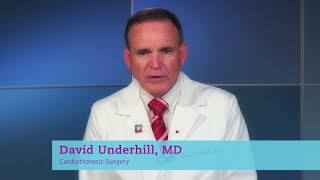 Signs of a stroke, antibiotic over use and the Bone & Joint Institute opens its doors to patients. There's so much happening in this month's Health News Roundup! 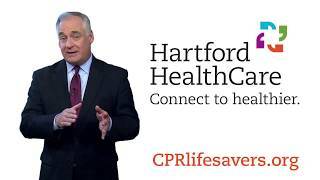 For the first time ever in Connecticut, a Hartford HealthCare surgeon performed the life-saving TAVR surgery through the carotid artery. 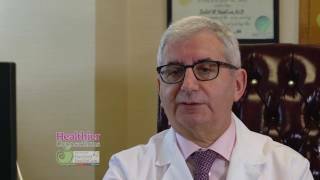 Hartford HealthCare's Dr. Sabet Hashim is a pioneer in mitral valve repair, and patient Malcolm Chapman is one of many whose life and health has benefitted from Dr. Hashim's leading edge work. 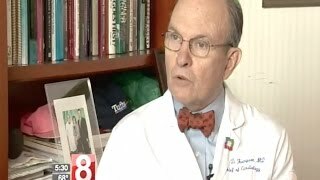 Dr. Paul Thompson co-physician in chief of the Hartford HealthCare Heart and Vascular Institute - himself a distance runner - provides insights on the effects of distance running on the heart. 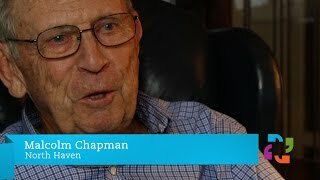 Malcolm Chapman thought his fatigue was due to growing older. 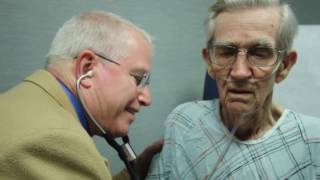 He didn’t know he had mitral valve disease. 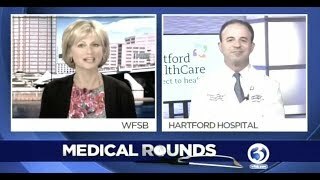 Scouring the country for the best surgeon to perform this surgery, Malcolm found the best - and not far from his North Haven home: Dr. Sabet Hashim, Chair of Cardiac Surgery, Hartford HealthCare Heart & Vascular Institute. 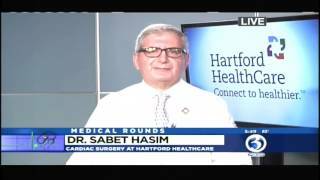 Learn the basics mitral valve disease and its treatment from one of the world's leading experts: Dr. Sabet Hashim, chairman of cardiac surgery at the Hartford HealthCare Heart and Vascular Institute. 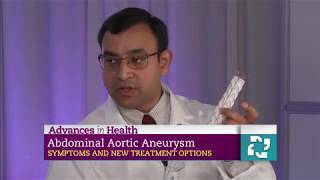 What is an aneurysm? How can it be repaired. 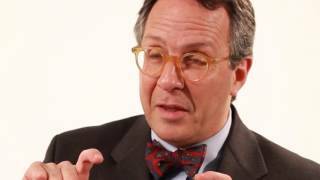 Vascular Surgeon Dr. Jonathan Hasson answers your questions. 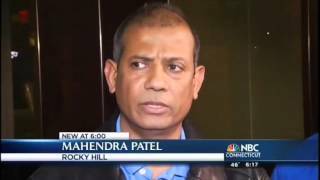 A grateful Wethersfield family shares the story of its patriarch after he survived a ruptured abdominal aortic aneurysm, thanks, in part, to the experienced, caring and skilled cardiology staff at the Hartford HealthCare Heart and Vascular Institute. 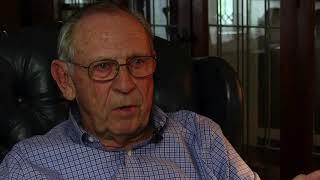 Dr. George Paul was too frail for open heart surgery but had severe aortic stenosis that was causing his heart to fail. 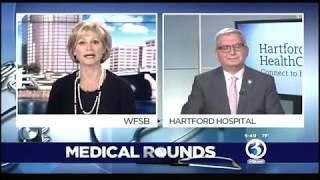 He was one of Hartford Hospital’s first patients to undergo TAVR, a minimally invasive choice for valve replacement. 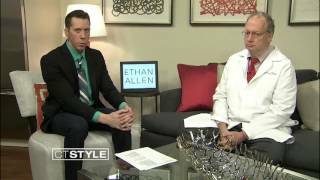 Four years later, Dr. Paul is an active 97 year old who appreciates his second chance at life. Exercise is good for the heart, right? Even after a heart attack? Right again! The grateful husband of a Hartford Hospital patient last evening donated nearly 200 hand-knitted red hats for babies on our maternity floors. This is part of a broader campaign called: “Little Hats, Big Hearts” with the American Heart Association. 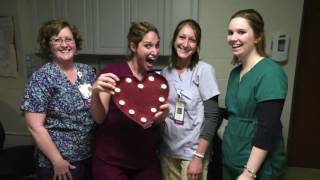 February is Heart Month. 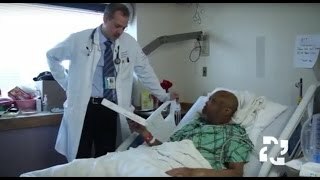 The donor lost his 51-year-old wife to heart failure, yet was so touched by the care she received here that he enlisted the help of family and friends to make this donation in her honor. For more information on "Little Hats, Big Hearts," please visit http://bit.ly/20CWAlg. 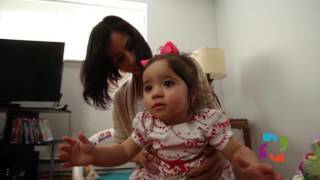 Chantelle Villanueva thought she had the flu. In reality, her heart was failing. 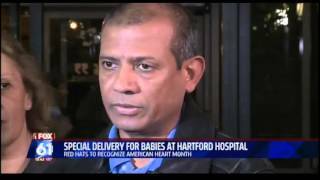 How Hartford HealthCare came together to save Chantelle and her baby. 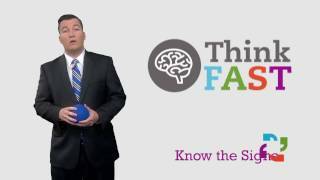 Did you know that the symptoms of a heart attack are different in women than in men? 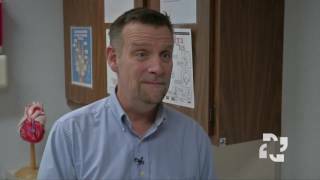 HHC's Dr. Heather Swales has more. The grateful husband of a Hartford Hospital patient donated nearly 200 hand-knitted red hats for babies on our maternity floors. This is part of a broader campaign called: “Little Hats, Big Hearts” with the American Heart Association. February is Heart Month. 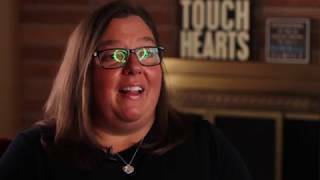 The donor lost his 51-year-old wife to heart failure, yet was so touched by the care she received here that he enlisted the help of family and friends to make this donation in her honor. For more information on "Little Hats, Big Hearts," please visit http://bit.ly/20CWAlg. 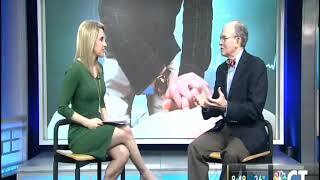 HHC's Dr. Steven Zweibel with information on treatment for heart disease and A-Fib.